Maritimo builds for the future with new facility. 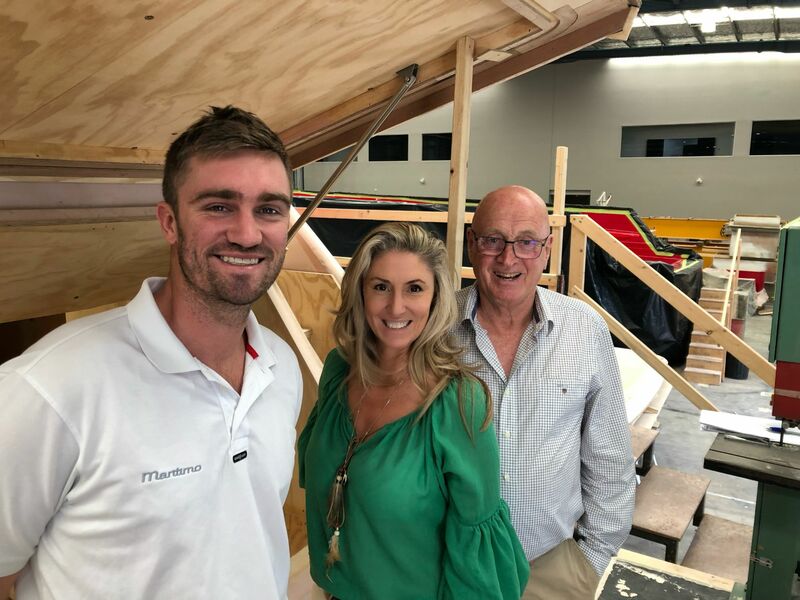 Australian motor yacht manufacturer Maritimo, is close to completing a multi-million dollar expansion of its original Gold Coast plant which will ‘future proof’ the business and create one of Australia’s most advanced and environmentally sensitive marine industry manufacturing facility. 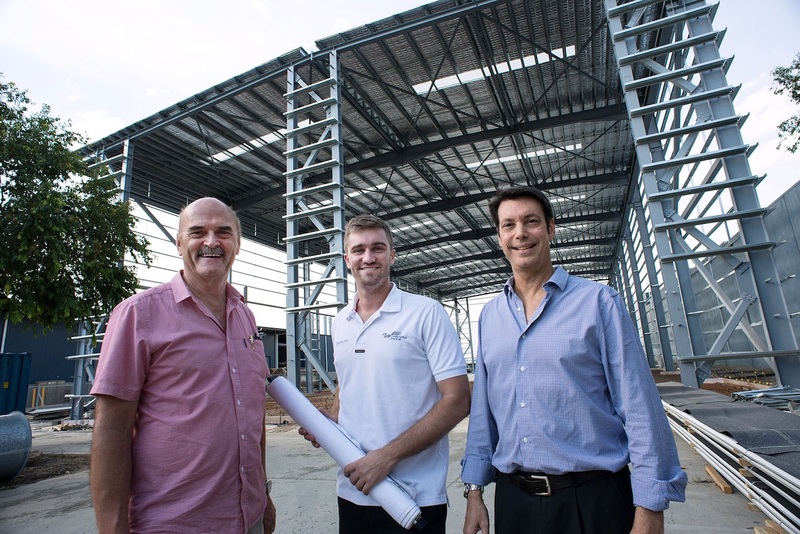 Plans for the expansion started in late 2017 with the purchase of a 3.09 hectare commercial site adjoining Maritimo’s factory in Waterways Drive at the Coomera Marine Precinct. The site in McPhail Road, backing onto the Maritimo factory, has been a hive of activity since then. Company founder, Bill Barry-Cotter, said when completed the combined manufacturing plant would cover 4.664 hectares. The McPhail Road purchase increased Maritimo’s land holding by 197 percent and its total building areas by 52 percent. 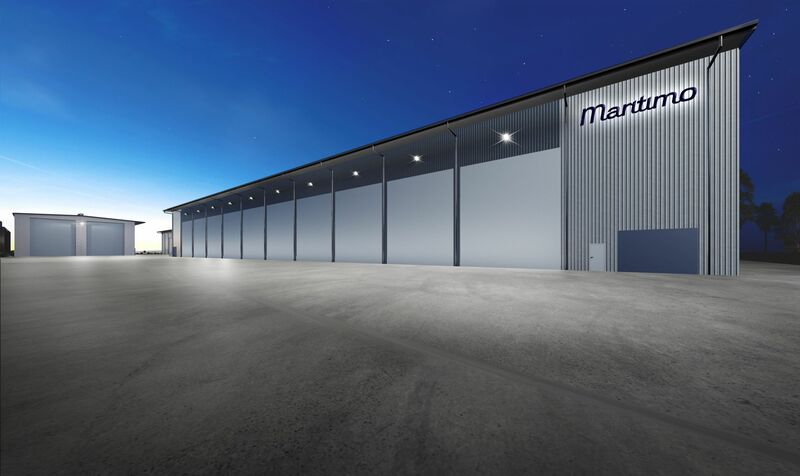 “Our total manufacturing plant under roof is now 16,550 square metres excluding office space,” he said .Prior to the McPhail Road acquisition and building works Maritimo’s production facility covered 10,840 square metres including 1028 square metres for the race team headquarters. The acquisition will see a further 5710 square metres added. A new CNC router was moved into the existing wood shop at Waterway’s Drive.